Morning Conversational: What Did Justin Fields Do To Lose His Black Stripe? Today’s Topic: What Did Justin Fields Do To Lose His Black Stripe? Ohio State sophomore quarterback Justin Fields lost his black stripe last Monday. 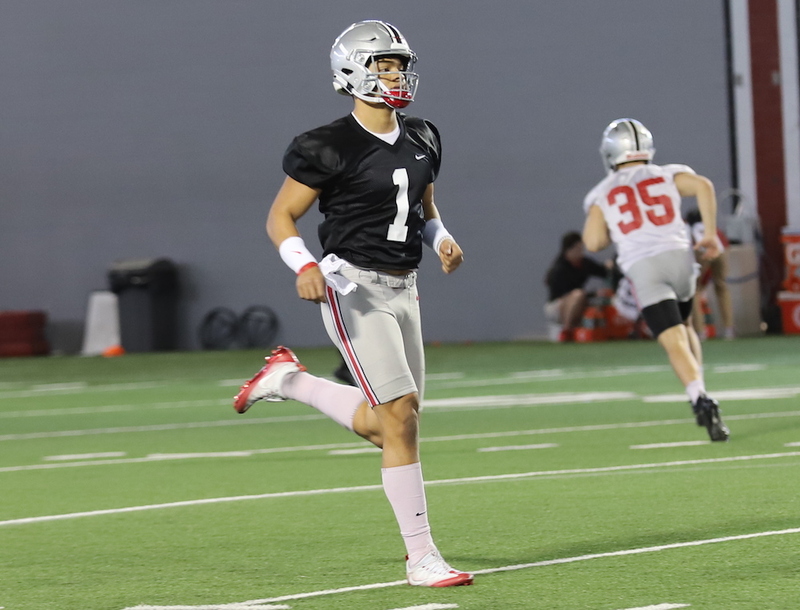 Being the first scholarship Buckeye to lose his stripe this spring was not a surprise, but the fact that he was able to pick up the offense well enough in just six practices to lose his stripe was impressive. Keep in mind, all we’ve heard about Ryan Day’s offense from his quarterbacks is how it takes a year to feel comfortable and know what you should do. However, not only was Fields able to make sense of the offense and put the results on the field in the span of six practices, he was also able to impress in the middle of a quarterback battle. And he did it with expectations that few quarterbacks have to deal with in brand new situations. There is no “get acquainted time” for Justin Fields. He came to Ohio State to win the job, and it appears each time out that he is progressing in the proper direction. So what has he done this spring in order to get that black stripe removed? Day wants his quarterbacks to be tough, smart, accurate, and accountable. More than anything, however, they need to lead the team and reach the end zone. So far, Fields has done a good job of meeting Day’s requirements. Day and his offensive staff will now begin the process of data mining. They’ll be looking at completion percentages and success rates. If there is a big discrepancy between Fields and redshirt freshman Matthew Baldwin, then perhaps Day will name a leader heading into the summer offseason. More likely, however, is that both quarterbacks will continue to receive the requisite amount of work to win the job. And since there is no game this spring, there’s no need to name a starter. Or even a leader. The fact that Justin Fields has already lost his black stripe, however, is exactly what the path to win the job looks like. Could we please stop this farce that there is a quarterback battle going on? Fields is the highest ranked QB the Buckeyes have ever signed! He did not come in to ride the bench and be someone’s backup. 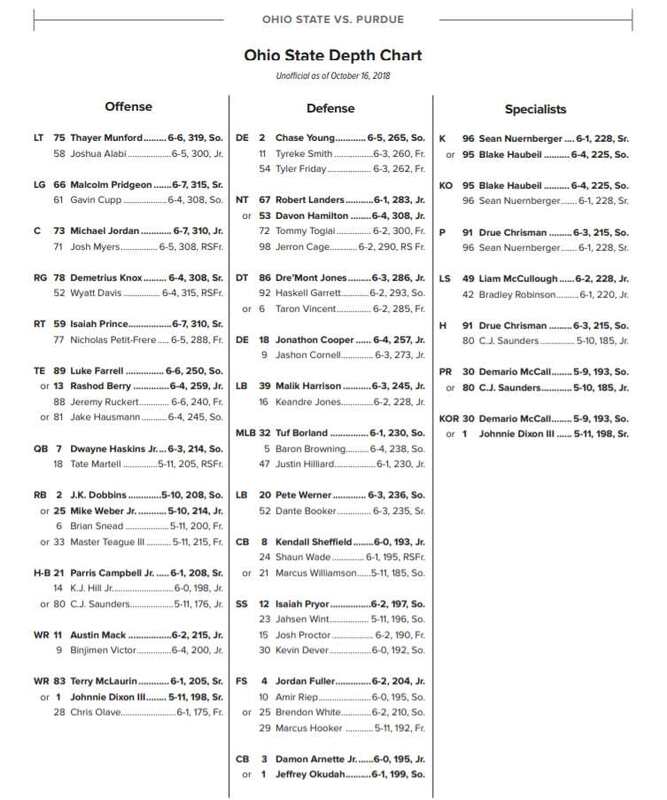 Let’s face it, Fields came to OSU with some guarantees….like the starting position. No spring game? Hush yo’ mouth child,the adults are conversating? That would make for 10s of 100’s of refunds and a logistics nightmare for tOSU. So far this is the only place you’ll find the words “no game this spring”. Ahh Tony, the whole month is not filled with ‘April Fool’s Jokesters, errr I mean jokes.